Out of Ideas? I Have Some! 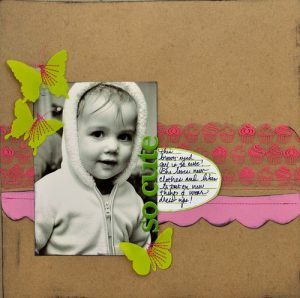 Oh, the joy of scrapbooking! The more you do it, the more creative ideas just pop into mind. For example, I was driving my kids to school the other day and almost missed the exit because I was daydreaming about my next scrapbooking project. It is great stuff, but I realize that some of you might be out of ideas for designs. The internet is chalked full of inspiration, and I want to share some of mine. Feel free to use any of my ideas for use in your next project! 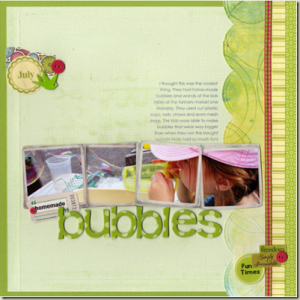 The most important part about scrapbooking is telling your story. What do the pictures mean to you and how can you make them come to life with design? These are all excellent questions to ask yourself when thinking about scrapbooking ideas. Cluster embellishments is when you gather several items together in one spot. Here is an example by Paula Gilarde. Posted in Default | Comments Off on Out of Ideas? I Have Some!